We are offering a wide range of Plastic Plain Bags to our clients. Our diverse range includes Compostable Bags, Bio-Degradable Bag, Carry Bags and many more. We specialize in manufacturing of Garbage Bags on Roll with "Star sealing" and attached tie-tapes for easy disposal. 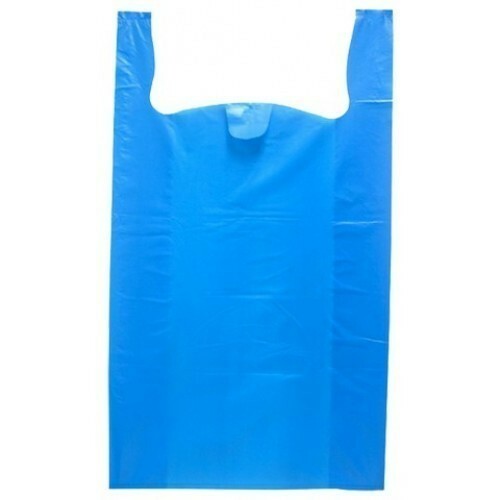 Our Polythene and Polypropylene bags are used as shopping bags, carry bags and also for packaging of readymade garments. Our Marketing Division has been setup with the best expertise from the field to cater to the big players of the industry, which include the high-end Retail Chain Industry, Hotels, Restaurants, Supermarkets, and Hypermarkets. Besides, we follow the Quality Control Management System. Our quality control experts keep an eagle eye on the quality of products on various stages of production. Our well-knit network in the industry helps in delivering the assignments to the clients before the deadline.